On average, construction accident victims recover hundreds of thousands of dollars. The median is about $200,000. Compared to the national average, Illinois plaintiffs have a similar rate of recovery for construction accident awards. Far and away, the biggest concern that clients have is recovery, especially in construction accident situations. They have extraordinary medical bills, lost wages, pain and suffering, future lost income, and sometimes even property damage. Thus, they want to know how much money they can get out of the whole legal process. There are a lot of dimensions that go into answering that question but sometimes we find it is helpful to start with some basics. Therefore, we put average award amounts (jury verdict and settlement amounts combined) below for you to review. 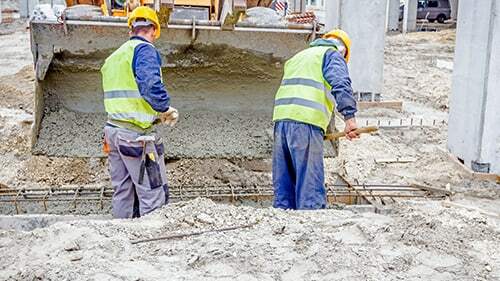 They are not the whole explanation, but they are a great starting point in determining what you could receive for your construction accident case in Illinois. Will my Construction Accident Award Look Like any of These? Want to Know What You can Get in Court for Your Construction Accident Injuries? The first two tables illustrate what plaintiffs and across the nation received through construction accident litigation. Illinois sees a lot of cases in this field compared to other states and the national average. With respect to recoveries, some things are worth mentioning. For instance, Illinois plaintiffs obtained amounts over $5,000,000 at a greater rate than their national counterparts. On the other hand, Illinois plaintiffs also saw compensations levels below $100,000 more than those across the country did. The combination of these two facts appears to signify that Illinois recoveries mirror those of the national average. The eight tables above indicate how residents of Illinois fared in some of the biggest counties with respect to construction accident litigation. Some highlights are important to review. First, Will County saw the highest number of plaintiffs receiving under $100,000. Sixty percent of them did not recover more than $100,000. Second, Winnebago County led the way in the range of $100,000 to $1,000,000 because forty percent of their plaintiffs obtained amounts at that level. Finally, Cook County saw the most recoveries of more than $1,000,000: thirty-six percent. We caution clients against using statistics to predict what they could obtain in an Illinois construction accident lawsuit. However, they can be useful in a number of ways including the following: First, they provide a benchmark for the jury when considering your damages; Second, they help you determine if the time and energy of a lawsuit are worth it; Third, they help your counsel frame the story of your accident by being able to compare it others; Fourth, they show you what statutes and lawsuits will be most effective in pursuing recovery. Think of past cases and statistics as tools in your toolbelt instead of a predictions. Don't give them too much weight but also don't dismiss them. 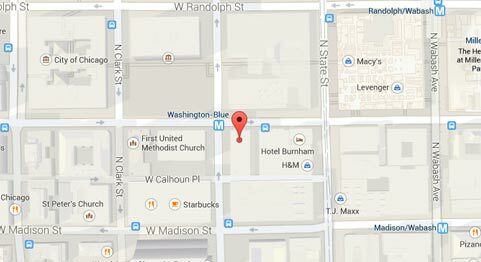 This dispute arose in downtown Chicago. In centered in the Streeterville section of town. The plaintiff was a construction worker. He worked for a subcontractor. The contractor had employed his boss to work on a new skyscraper his job was to drill holes in the bathroom. This would allow for doors and walls in order for privacy. He set up a two-step ladder and began working. At some point, he slipped and fell off. Here’s where the two sides diverge. The worker says he suffered an ACL tear. When he sued his employer, he said it was their fault. He thought they should have set up a safe work site. He got injured because his ladder slipped on water he alleged. This injury required him to undergo and then ultimately disabled him. He claimed he wasn’t able to work the same again. He estimated medical bills of about $100,000 and lost wages of about $2,100,000. The defendant subcontractor disagreed almost on all fronts. First, it denied that water caused the slip. Its experts opined that he fell due to his own clumsiness. Second, it thought he could go back to work. In its view, he just didn’t want to. His lack of follow through on rehab was evidence of this they felt. Third, they denied the extent of his injuries. They even denied that he had an ACL tear. With all of these disagreements, trial was inevitable. Settlement was out of the question. After a lengthy court process, the man received $2.4 million from a jury. Yet, that much reduced by almost half because the jury gave him 49% of the blame too. If it was more than 50%, Illinois law would have barred him from recovering. Thus, the man actually pocketed $1,224,000. This construction accident occurred in Itasca, Illinois. It was by the corner of Roselle and Irving Park Roads. The victim was an apprentice to one of the carpenters. He was just shy of 50. One day, he was moving pallets around the work site. He didn’t notice a hole because it was hidden by one of the pallets. He slipped and fell right into it. He plunged nearly 15 feet downward. He suffered a head contusion. He damaged both of his shoulders. Also, he badly harmed one of his harms. To make up for the harm and costs, he sued. He brought suit against the masonry in charge of the site. He claimed that company had a duty to ensure this didn’t happen. The defendant shot right back. It argued it didn’t have control over the area. Plus, it maintained that he knew about the hole and passed it each day for months. If anything, he was the party at fault it stated. The jury didn’t entirely disagree with the defendant. It found the plaintiff partially to blame. All in all, it gave him 15% of the fault. That meant he could still recover though for his injuries, medical bills, and lost income. Once his workers’ comp claim was finished, they set the total value of the award at $535,180. This case came from Will County, Illinois. The plaintiff was a 44-year-old man. He worked for an HVAC company. That business was contracted out by a developer to do some work in a new home. The man had to outfit a furnace in the basement of a house. The home was still under construction. He went down into the lower level one day to work. As he was descending the stairs, he slipped and fell. A hose had been left out and slung across one of the steps. He didn’t see it before it was too late. Apparently, a worker from a different subcontractor forget to put it away. Anyways, the man was badly hurt. He injured his back and spinal cord. His legs and shoulders were also harmed. These injuries required surgery and rehab. The medical bills alone were close to $700,000. That didn’t include the money he lost from missed work while recovering. Plus, he was stuck with the pain for the foreseeable future. He sued the general contractor and the subcontractor that left the hose out. His lawsuit argued that they should have prepared a safe work site. In his view, they didn’t and that caused his injuries and damages. They both responded in kind. The defendants maintained that some of his injuries predated the accident. Also, they questioned whether the injuries would really hamper him long-term. They pointed to his relative good health and claimed he wasn’t hurt as bad as he alleged. Yet, none of this could answer the mistakes they made. They still played a part in it. As such, they knew they would have to pay something. They settled so that they could more easily fix the number they had to pay. The general contractor paid $335,000. The subcontractor paid $1,265,000. The man that brought this action was 54. The lawsuit was filed in Cook County, Illinois. He worked in construction. One day he was moving some plywood around the shop. He put it in a cart and started pushing. As he was doing this, he went over some ice. He didn’t see it though and he slipped and fell. The fall caused him to herniate his disc at the L4-L5 spot. Over the next few years, he had to have a few surgeries. He even had a fusion procedure done. The medical bills for these operations and related treatments cost almost $1 million. He also cited nearly as much money in lost income. He sued his employer. He also brought a workers’ comp claim. He alleged the facts described. He also stated that he was now disabled an in constant pain. The defendant basically punted. It said the whole thing was his fault. He should have been more careful. Yet, this dodged the central point that it should have given the plaintiff a safe work space. It did not, and he suffered as a result. The two sides worked out a private settlement. He received the amount stated above. Yet, some of that was offset by his workers’ comp claim. The events in this suit arose in Hanover Park, Illinois. A young construction worker (aged 34) was working at a worksite. He was actually an ironworker and a union man. The project was at a retail facility. They were doing some excavation work. During that process, he stepped back but fell. He claimed the area wasn’t filled properly that caused his descent. The injuries weren’t minor. He subluxed his ankle and foot. He also had nerve, spinal, and other damage. All in all, he needed a bunch of surgeries to fix these injuries. They cost him around one quarter of a million dollars. His lost income was estimated north of one million dollars. He sued the retail establishment. He claimed they negligently kept their grounds in an unsafe manner. That led to his injuries which caused him damages. Those damages included pain, disability, medical bills, lost wages, and other items. The defendant denied the circumstances of the accident. It claimed it filled the area around the work site sufficiently. In essence, they said the whole thing was his fault. The two sides haggled for many months. Fearing the worse in trial, and what a sympathetic jury would award, the defendant agreed to settle. The plaintiff received a little under $1 million. Note, the man had to waive a workers’ comp claim in order to get this settlement. The estimated amount of the comp claim was similar to the settlement value. Rosenfeld Injury Lawyers LLC has a very thorough intake process so that you can get a good sense of what a lawsuit could mean to you. You need to know what is possible financially possible going into the ordeal of trial and we use our experience and resources to help you obtain a proper estimate. Also, if you choose to go through with a suit, we can assist you on contingency which means that you only pay if you are happy with the award or settlement. Want to know what your recovery could be? Then call Rosenfeld Injury Lawyers LLC today!